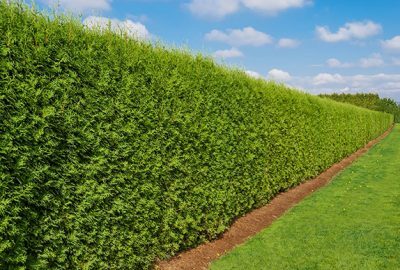 Landscape architects specifying hedges for properties most often select European Beech (Fagus sylvatica) or Hornbeam (Carpinus betulus).The two varieties are similar in many ways, but in our experience, European Beech nearly always create a superior hedge. One of the main benefits of planting a European Beech hedge is the fact that it holds its beautiful, bronze-colored leaves from the beginning of dormancy to just a few weeks before spring foliage emerges. European Hornbeam holds its leaves for a month or so, and only holds juvenile leaves, so it can be tricky or impossible to achieve the same desirable retention as beech. It also has inferior leaf color, being more brown and crinkly than the beech which resembles smooth, rich leather. Foliage color and appearance between the two is quite similar, but the beech tends to have a nicer fall display of yellow and orange than the hornbeam, which tends to be yellow-brown or weak chartreuse. There are purple and copper variants of the beech as well, which are striking alone or mixed. Both beech and hornbeam have a nice gray-colored bark that adds winter interest. Beech branches are smooth and graceful, while hornbeam is crooked and knotty, with lots of twigs. There are quite old plantings of beech and hornbeam, but beech plants can easily live past200 years, while hornbeam typically doesn’t live past 150. 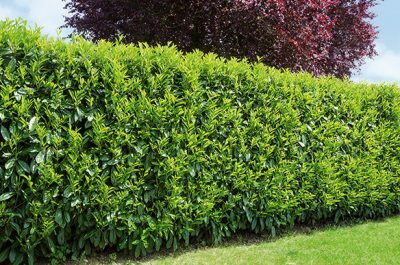 Having a beech hedge on a property adds incredible value and is a substantial asset. Poor soils are generally not a problem for either plant, but beech does not do well in overly wet conditions. Drought is not problematic once either plant is established. Neither type does well in maritime exposures with salt in the air or the soil, but urban pollution is well-tolerated. The main difference in tolerance is that hornbeam is notoriously difficult to transplant, especially older plants. Pests and diseases are not serious issues for beech or hornbeam, and if problems occur they can usually be resolved without losing the plant. Beech grows at a great pace for hedging, neither too fast nor too slow. 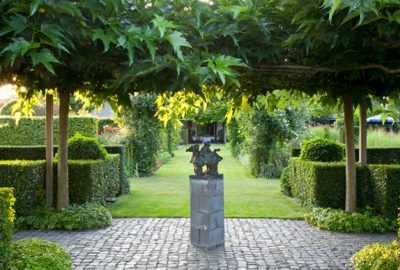 It can be easily maintained with a light pruning once per year. 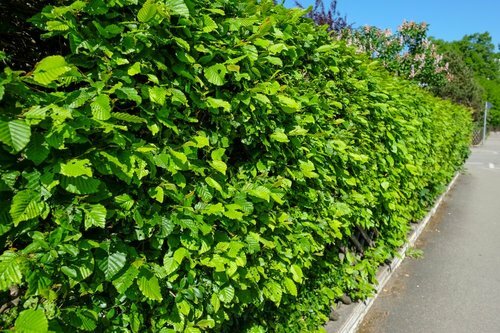 Hornbeam grows faster and should be pruned twice per year, especially if leaf retention is desired. Although there is,and likely always will be,debate surrounding which plant is better, the answer seems clear. In all respects,except for possibly use in a wet, heavy soil, European Beech pulls ahead of European Hornbeam.It has more attractive foliage, better winter leaf retention, nicer bark and form, better longevity, and requires less maintenance, making it the obvious choice.